Today’s tip: Try creating a pseudo HDR image form a singe RAW file. Simply drag your RAW file over to the Photomatix Pro icon and then get to work on Tone Mapping. You may be surprised at the results – as illustrated by this single picture I took during the workshop. The pseudo HDR image is above, the straight shot is below. You’ll find more info on HDR in my 24.7 Photo Buffet iPhone and iPad apps. P.S. A photograph is never really finished, correct? Well, that’s what Ansel Adams used to say. He’d go back again and again and work on his miges for new variations. We can do the same. 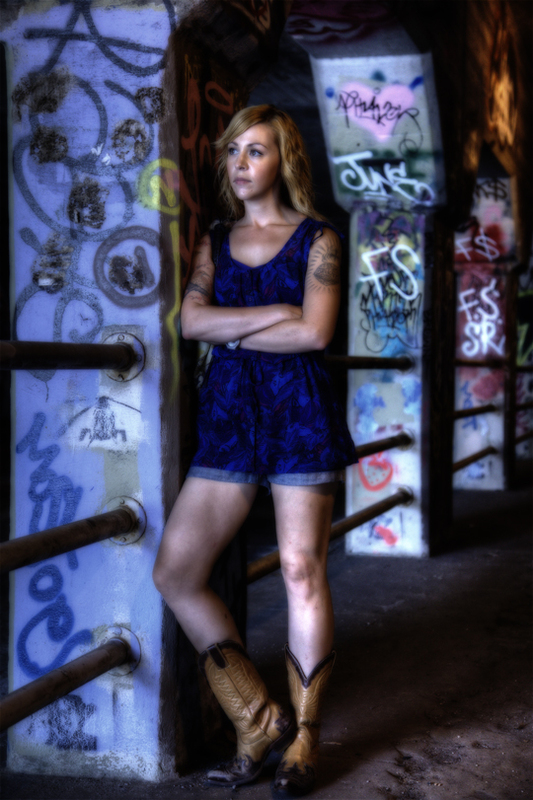 Below is my pseudo HDR image with a touch of the Nik Software’s Color Efex Pro Midnight Filter. As you can see, this filter changes the mood and feel of the image – which is actually the most important aspect of an image. For a discount on all Nik Software’s plug-in and on Photomatix, click here. Hey, I have more more variation to share with you. 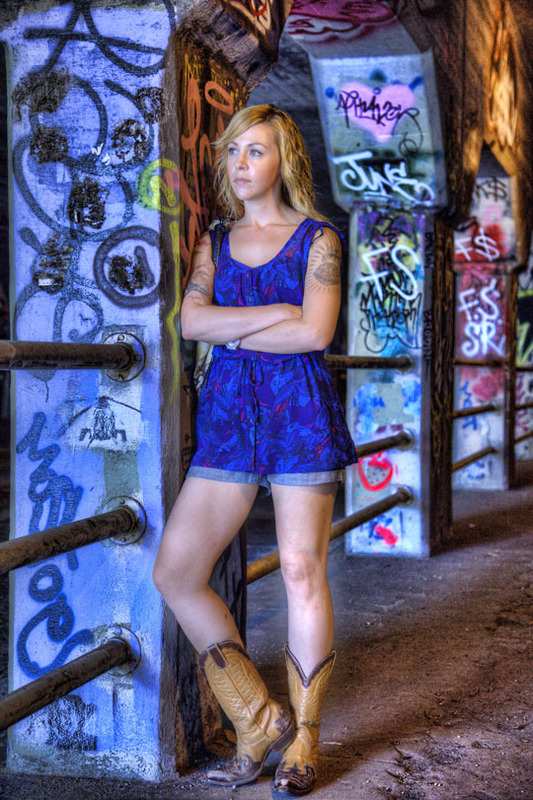 Below is the psqudo HDR image with a touch of Topaz Adjust added selectively to the background – and not to our model. The technique: duplicate your layer, apply Topaz to the top layer, and then use your eraser tool on the top layer to erase over the subject. That’s just one technique. In CS4 and CS5, you’d go to Filter > Convert to Smart Filter and then user the the layer mask to mask out the effect over the subject. Nice. Probably time for me to revisit this process. Question: On the smart filters, the filter mask appears to apply to all the filters applied to the smart object; there doesn’t seem to be a way to mask each filter individually. So I still need a layer for each filter, when I want to mask different filters over different parts of the image. That’s how I do it, anyhow–hoping you’ll tell me differently?